The pre-paid mobile market is growing rapidly. According to an industry survey, 32% of cell phone users now pay for their service in advance, up from 21% a year before. Eager to get a piece of that action, retail giant Target announced this week’s launch of brightspot, its new prepaid wireless offering that works via the T-Mobile network. Like many prepaid plans, brightspot offers some significant discounts (and a few unexpected benefits). You can get unlimited talk and text along with a gigabyte of T-Mobile 4G data for just $50 per month. Or, if you’re looking for bargain coverage, you can skip the high-speed data plan and pay just $35 per month. Target will even give you 5% off your bill if you pay with a Target credit card. And here’s another cool bonus: With every 6 months of paid service, Target will give you a $25 gift card as a reward. If you’re considering making the switch, know that brightspot is a no-contract plan – you’ll either need to bring your own T-Mobile compatible device or buy a phone at full price. Using your own phone will require you to purchase a SIM kit. No word on what that will cost, though T-Mobile prepaid SIM kits usually run $10. Target says it will have a “robust selection of phones” available both in-store and on its website at launch. We’ll have to wait until the plan goes live this Saturday to find out which phones in particular. Here are some of our picks for the best prepaid phones, in case you want to keep an eye out. 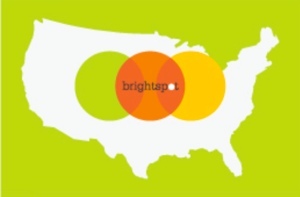 brightspot launches on October 6. To learn more about brightspot, you can find the launch announcement at the official Target blog. If you want to learn more about how prepaid phone plans work, check out Techlicious’s guide to choosing between a prepaid and contract cell phone plan.